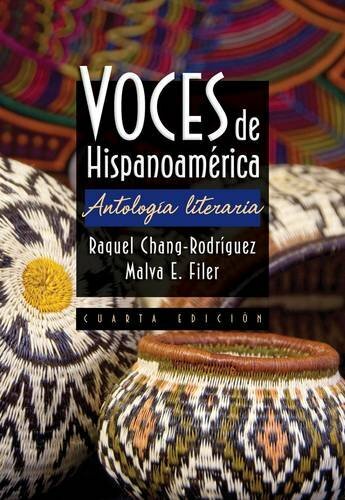 1111837929 -VOCES DE HISPANOAMÉRICA, the market-leading anthology, features the most distinguished authors of Spanish-American literature from the Pre-Colonial period to the present. The introductory essays and literary selections, combined with the many historical and literary references, make this text an invaluable resource for both students and instructors. Through detailed essays that focus on each historical period, the book provides the necessary background information for students to effectively study, analyze, and evaluate literary works. A complete novel or other literary works may be used in conjunction with the anthology to allow for a more specialized approach to the study of a literary genre or period.